A new socio-political populist movement is sweeping America in reaction to the 2008 financial tsunami of deregulated, greed-based causes and massive wealth transfer effects or receipts to the financial one-percent. Based purely on the numbers seen to date, this movement is and will be composed of rising and current Millennials and the “Net Generation" or "Generation Edge", immigrants and minorities, plus any white person with a progressive conscience. Converging as a new coalition of the socially and technologically willing, these voters (unless effectively wholesale disenfranchised) will provide a national elections cycle majority for decades as America becomes a majority minority country even though some geographical revisionist and recidivist pockets will persist (such as the Mason Dixon healthcare divide) based on political gerrymandering and subtext political culture. What we’ve learned post-2008 through scandals and undeserved elite-to-elite pay-outs is that the real waste in America collects at the top and not at the bottom which is too starved for and by food stamps, unfair foreclosure, declining social mobility, and unequal opportunity to rise above day-to-day scavenger status. The key, then, is to focus on eliminating this “Made In America” crony capitalism waste by transforming one-percent-intended public sector welfare subsidies, crooked inside straights, unequal playing fields, and unfair tax-advantaged pay-outs into either benefits all Americans are eligible to receive or benefits not worth the golden parachutes on which they’re engraved. The way to do this is by facilitating earned, stakeholder-centric, market-based equal opportunity job creation “with benefits” simultaneously from the middle-out and the bottom-up that are sustaining as measured by shared productivity and profitability over time. Broadly-based ownership has proved a compelling catalyst behind America’s historical manifest destiny and free-market accomplishments, settling a frontier, building one new economy after another, and attracting immigration waves from every corner of this world to form the defining American hybrid identity. New swarms of progressive American entrepreneurs, innovators, social capitalists, and impact investors as well as positive change-oriented labor unions are emerging, virtually forming and reforming on a daily basis to heal what has been broken. It’s time we allowed the federal government to do its part in helping, not hindering, a return to local marketplace sovereignty as opposed to global labor arbitraging – the profit-seeking instrument of choice for bad-actor multinational corporations and their special interest trade associations who bundle payola contributions to elected officials while repurposing domestic workers to unemployment rolls. To kick this off, we are calling for a Public/Private Sector Ownership Partnership (P2SOP). Two immediate private sector steps could be enacted through coordinated federal legislation and executive branch code that would achieve far-reaching, positive effects not only in terms of equal participation and opportunity but also as market-based checks on public sector largesse to balance the waste, fraud, greed, and abuse practiced by a powerful few on the under-represented many. First, any private sector organization who earns more than 50 percent of its revenue from the federal government (i.e. redistributed taxpayer receipts) in any form upon reaching a certain to be determined size (i.e. non SBA-qualified) should be allowed (at the request of its workers) to reorganize to gain equal worker-owner parity with management on all compensation asset classes according to function and based on performance, starting with equal access to one-class stock. Second, these same worker-owner transformation conditions should apply across the board to any quasi public-private institution with a unique federal government-provided charter (i.e. a public good creating a private benefit) that sells to or performs for the U.S. public, including the U.S. Post Office and perhaps the infamous “Mae” asset family (i.e. Fannie & Freddie). There is nothing more culturally American than broad-based ownership beginning historically with land, then home, and now workplace. 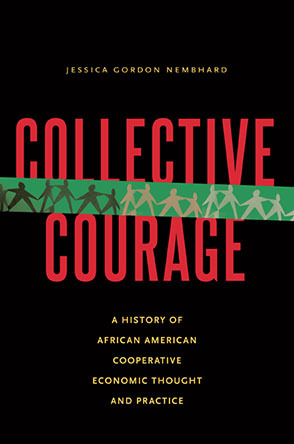 The emerging union-coop model that is being considered or currently practiced in ten U.S. metropolitan regions to date represents a creative path forward to start to rebuild a government and civic society of the people, by the people, for the people meaning all of the people, not just on behalf of the one-percent, the forty-seven percent or the ninety-nine percent. However these artificial, wealth-extraction by population segment divides and differences are calculated, their net effect is clearly un-American and toxic both to American democracy and any form of market-based capitalism that requires a happy ending for working and middle class consumers to invest instead of just tithe. Otherwise, the inordinately well-off end up talking and selling to themselves, isolated behind gated communities of the oligarchic mind, living longer than their counterparts and thereby transferring wealth to smaller, pre-selected recipient communities over a rapidly declining common population denominator – instead of the desired democracy and free market economy fomenting opposite. Nobody should be predestined to have to tug their forelock to enter and participate in rising middle class America. Michael Peck blogs at the One Worker, One Vote blog.